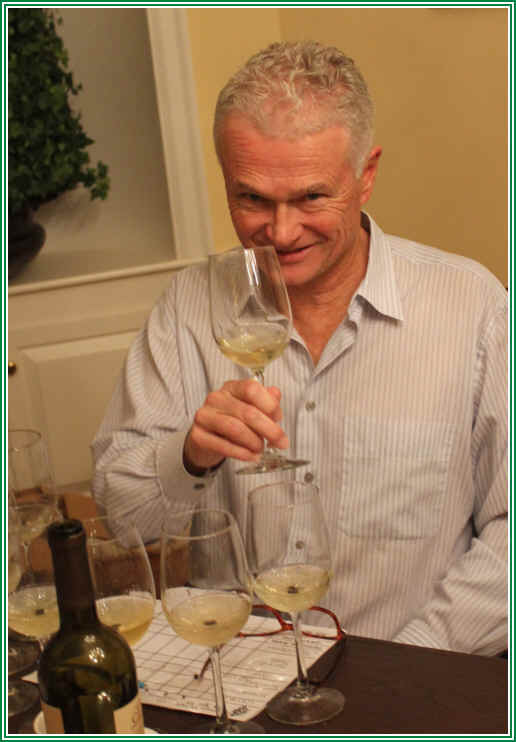 The host for the Vino Fino October tasting wanted to try something different and break away from "the same old, same old." 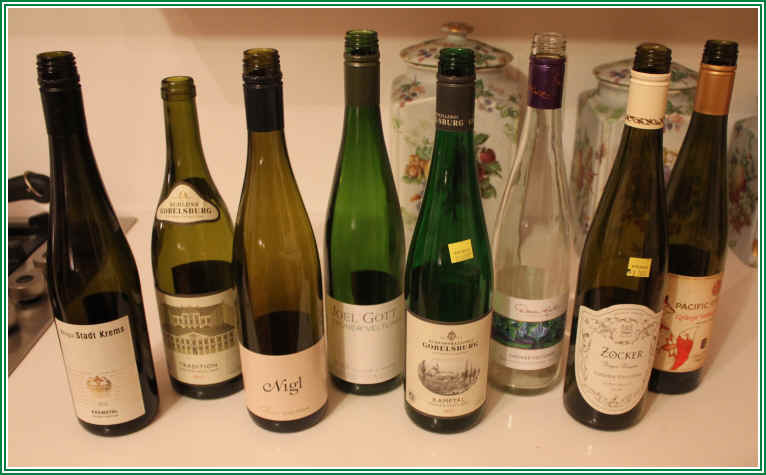 So we assembled a set of Gr�ner Veltliner wines, with four from Gr�ner Veltliner's homeland, Austria along with some West Coast challengers. 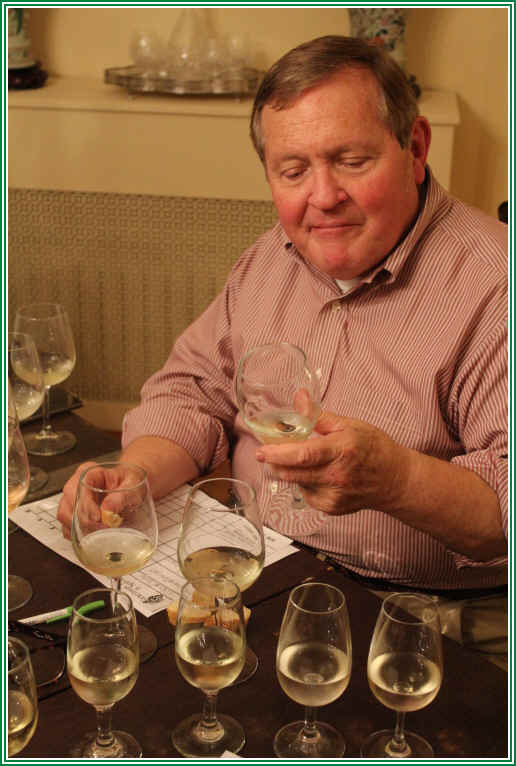 The grape is relatively new to the US and so we were curious to see if the American winemakers were on the right track. We look for notes of grapefruit pith, white pepper and sometimes lemony, citrusy tones. In some vintages one might encounter peachy and melony qualities in the wine. A couple of wines were at the head of the class, both from Austria. 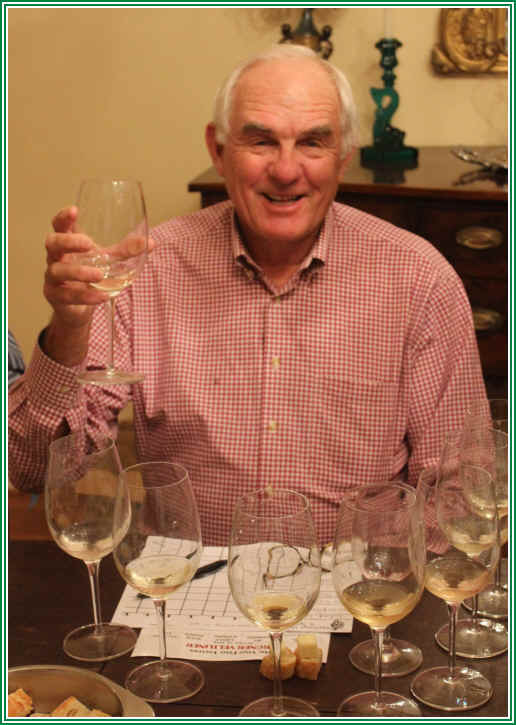 The American bottlings show promise, but perhaps the vines need more time to mature before they produce more profound wines, if Gr�ner is capable of producing complex, profound wine. Clear in appearance and medium-light straw in color, there was a nice hint of the grapefruit and spice notes we look for in Gr�ner Veltliner. The nose here was certainly in the right direction in terms of varietal character. This seemed dry and mildly tart. Light in body, though it's young, there was a "flat" note about the wine on the palate...it just did not seem as fresh and youthful as perhaps it should. I gave it a half star rating on my three star scale. No stars indicates a wine of standard or ordinary quality. Clear in appearance and medium-light straw in color, the nose of this displayed straw or hay-like fragrances. I wondered if this was simply an older bottling, as it lacked a youthfully fresh quality. There was a hint of varietal character on the palate and I gave it a rating of a half star to 3/4s of a star rating. Light straw in color and clear in appearance, this wine also featured fragrances reminiscent of hay more than fruit. It's dry and seemed low in acidity. Light bodied and simple, but this seemed a tad fresher and more youthful than the Zocker wine above. I gave it a half star rating. Showing light straw color, this wine retained a bit of CO2 and had bubbles adhering to the glass. The nose offered light fruit fragrances with a faintly peachy quality. Dry and sporting fine acidity, this was a medium-bodied wine. I did not mind its slightly fizzy character and described it as an Austrian Vinho Verde. I gave it a one to one-and-a-half star rating. Light straw in color and showing a tiny bit of CO2, I thought the fruit on the nose was standard and maybe even a bit tired. It was slightly sweet and this became more bothersome as the wine warmed in the glass. Light in body despite the sweetness, it's a simple, anonymous little white wine. I gave it no stars, but should note 4 of the 12 tasters were quite positive in their assessment of this wine. 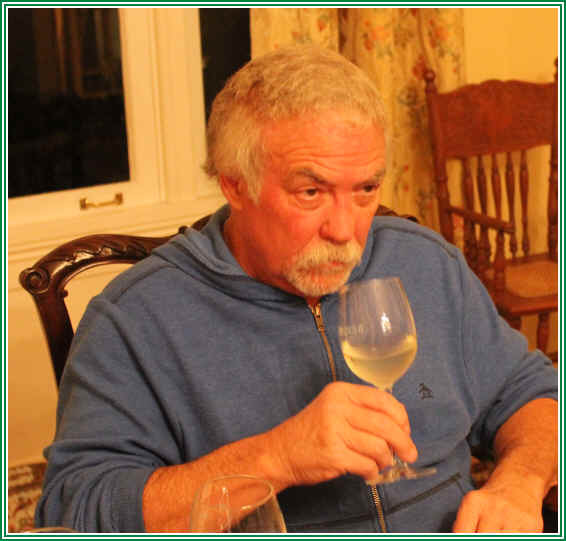 Clear in appearance and straw in color, this started out nicely with lightly fruity aromas and as it warmed, the character of the Gr�ner Veltliner became more prominent. It's dry and nicely acidic. Medium+ in body or intensity. It's fresh and fruity on the palate with a bit of depth and plenty of varietal character. I gave it one-and-a-half to two stars. Very fine! 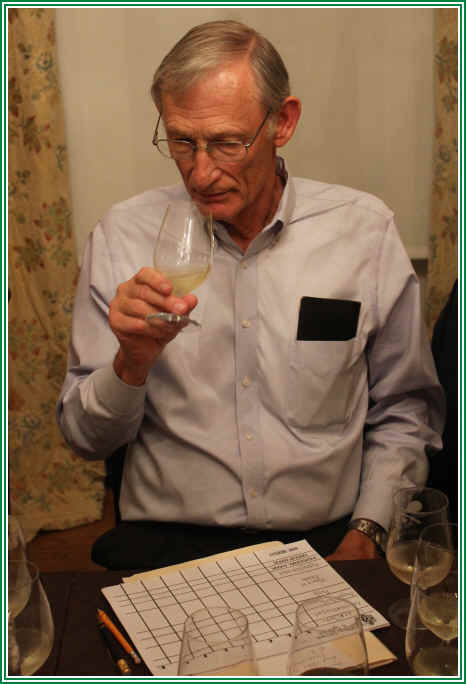 2nd Place: SCHLOSS GOBELSBURG 2013 GR�NER VELTLINER "Tradition"
Medium straw in color and clear in appearance, this wine was immediately the "head of the class" for me. Very fine fragrances showing melon, a touch of peach and the spice and faintly peppery qualities we love in this grape. Impressive from the start. Dry and medium+ acidity. Medium+ to full on the palate...here's a wine of complexity, character and great charm. Fresh, intense and long on the finish. I gave it a very rare three star rating. This, for me, is a benchmark. Light straw in color and clear in appearance, this began with a mildly earthy quality on the nose and later it blossomed into a lightly grapefruity wine. Dry and with fresh acidity, it's a medium-bodied wine. 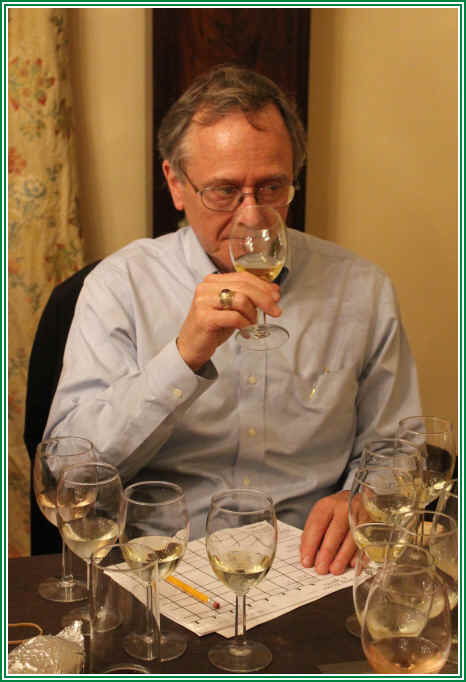 Good fruit on the palate and showing typical Gr�ner Veltliner flavors, it's a very pleasant bottle. I gave it a one star rating. The winery, by the way, is owned by the city of Krems!